Welcome to the author article section! Goodreads, author's review! For In Search of the Origin of Pyramids and the Lost Gods of Giza. FINALLY SOLVING THE GIZA ENIGMA? The author of “Lost Gods” responds to his critics. I am incredibly excited about this book. You will see why in a moment. Writing the book was a journey of discovery, from exploring some strange mounds in Europe and the Mediterranean, to exploring greatest mystery of all... The function of the Pyramids of Giza! Let us dispense with the idea that pyramids are tombs of man. Why? Giza appears to be a complex: large tombs for gods (pyramids), surrounded by small tombs for man (mastabas). Otherwise we deal with the implausible idea of two burial religions at work at work at the same time. Our collective subconscious has long harboured the idea that the pyramids are not what they seem. We all have long been dissatisfied with the official reasoning behind Giza. * Indicated by the three large pyramids as well as three subsidiary Queens' Pyramids around two of the pyramids. These indicate a home for the Triple Goddess who lives under World Mountain in Eurasian mythology. * The three aspects of the Triple Goddess, Birth, Death, Resurrection, seem to be represented at Giza, though we are less concrete on this view. * The fact the pyramids celebrate the equinoxes, etc, and astronomical phenomena show they are bound by Stone-Age fertility ideas. It was a fertility complex, and always has been, until modern times. * The inclusion of great and elaborate mathematics, including the possible diameters of Earth and other planets, represented by helper Gods, unlocks the possibility of Egyptian knowledge somewhat more advanced at least in terms of astronomical awareness, than they are given credit for. * Worship of the Triple Goddess at Giza in more modern times became the worship of Hermes Trismegistus. The Great Goddess was remembered as Goddess Isis, her chapel placed near the Khufu pyramid. Her home may have been the Queens' chamber, with a male consort god residing in the King's chamber. Again the burial is not of humans, but gods. The burial of Khufu or Khafre himself may be related to the mastaba of a certain Khufu-Kaf nearby. The Triple Goddess worship idea explains why there are three pyramids in the first place. Imagine a dying culture in the second half of the third millennium BC, seeking to immortalise forever the fertility religion of their ancestors. This culture stretched across Ireland, to China, Eurasia and deep into Africa. Only the very largest and most indestructible buildings of this culture have survived. This is what is going on at Giza. After the culture died, few such further monuments were ever built again, save in America and China. This is why Giza is the very best representation of what it was they were trying to achieve, right at the beginning of Egyptian agricultural civilization. In fact it would appear that the Giza people knew their religion was dying. Even in native Egypt, their Old Religion was not respected. For years people have stated that the Old Kingdom culture was partly brought from elsewhere.... Allow me to solve this little riddle somewhat. How about revealing the Existence of a Great Empire, Older Than Egypt, Immediately Next Door of which Egypt herself may have been an outpost. This explains a great deal indeed. This empire would be Old Europe, an empire or culture (since the names of the leaders are lost) of the Balkans, and beyond, which worshipped the Triple Goddess and other deities. I utilise remnant old mythology in explaining the purpose and function of Giza. My eyes were really opened in reading the works of Marija Gimbutas, which I recommend to anybody. Allow me to more fully introduce myself. My name is Charles Robert Kos, an Australian, and I am a history PhD, (now in the very exciting historical tourism business!) specialising in the High Middle Ages and the machinations of English politicians in the era of the formation of ideas regarding Robin Hood. Naturally, this has nothing to do with archaeology, ancient Egypt, etc. I merely wish to show that I am no slouch when it comes to research at a higher level. Without wanting to sound like an egomaniac, I am fully dedicated to the truth: a truth is not to be found by looking at Egypt alone, but further afield. We begin with the following truth: The Pyramid Culture is Not Unique to Egypt and cannot be understood from an Egyptian perspective alone. This is the greatest error and perhaps crisis, yes crisis, faced by Egyptologists today, who dare to write about pyramids. (Not many do!) Any paradigm we choose to operate within skews results into the direction of that paradigm. We move in the direction we are looking. Time for a fresh approach! I was absolutely fascinated by pyramids, eager to find out their source and origin. I wanted to find this, not simply investigating the context of Egypt, but also in terms of investigating the context of the mounds of Europe and Asia, which seem to have been built at about the same time. Utterly unsatisfied with archaeological interpretations of Egypt, I really wanted to break and help others break the boundaries and look further afield, beyond modern definitions of where the boundaries of the pyramid religion are `supposed' to lie, (presumably the borders of modern-day Egypt). * How pyramids (yes, pyramids!) such as Silbury Hill (isn't that a burial mound in England? Nope, no burial, just like at Giza) reflect a mountain religion to that expressed in Egypt. * How remnant Germanic and Chinese (Euraisan) mythology aligns to (and even explains!) the structures of Giza. * Signs of the Giza religion are ubiquitous in geography. This is not `Egyptian' religion but Neolithic (New Stone Age) religion, practised at the dawn of agriculture, when tribes were ceasing their migrations. A very similar religion was once practised in America, Ireland, China, etc. Their temples are discussed in this work, which is a voyage of discovery. * An interesting solution for the Tower of Babel enigma. * The discovery of an incredible mound complex in Germany, attacked by Charlemagne, and once thought to have been the center of the universe and home of the gods. * Support for the Bosnian Pyramid Hypothesis by “redefining” the definition of pyramid to anything considered to have been a sacred mountain, real or artificial, especially if it once appeared artificial. * Did ancient Egyptians worship proto-Buddha as their universal god in the Old Kingdom? (PTAH?). Buddha is the pyramid god of Asia. I wrote this book because I was concerned by the inaccurate information being promulgated regarding pyramids, based upon highly limited interpretations. I say the research into Egyptian pyramids is inaccurate in its conclusions because it is based upon Egypt, rather than upon the research of the worldwide pyramid religion, a new paradigm which only began really in the 90s, though Thor Heyerdahl was an earlier champion in the 50s. Pyramids are not so much burials for man: they never ever were, at least in earlier times, wherever you look. They may have had that use later on. In fact, archaeologists are hesitant to say pyramids were burials. If not burials then they are often said to have been the structures of twisted and psychopathic monarchs. Surely only a psychopath like Khufu would build a mountain of rock, right? In fact various tribes of the world all had the same idea... psychopathic monarchs allegedly constructed huge pyramids or hill-type structures to oppress the population, centralise and build their economies, in many different places. That is the story anyway. Cyclopean builders essentially built BIG. Huge earth mounds, and with mathematical precision, in Axis Mundi (World Axis) locations, (World Mounds) containing stones, lacking a burial, or places where huge mounds used to be found. In fact a place like Newgrange, (once far larger, the reconstruction uses a fraction of its former stones), was an earlier version (possibly a kind of cone pyramid) of what has been built at Giza! What is a similar place to Giza, doing all the way over in Ireland... of all places? After researching pyramids for quite a while, I gradually, almost reluctantly came to the conclusion that Pyramids were not really burials for man. They were rather the epicentre of a larger burial complex, representing the center of the world, the center of all creation: tombs surrounding a representation of the World Mountain. This means nothing to us today, but at one time, it meant a great deal. It was a religion in itself. I read many, many books, in researching this work. My favourite authors would be Robert Temple (See “The Sphinx Mystery”) and others such as Philip Coppens (“The New Pyramid Age”), who wrote a superb book on pyramids. 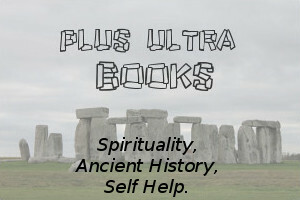 I then began to read other books, about all sorts of pyramids, mounds, Silbury Hill. I visited mounds all over Europe and began to wonder at the remarkable similarities. Function is far more important than form and building material here. A proto-druid in England or Ireland is not going to commission an Egyptian-type pyramid if he can build a mountain easily out of earth and chalk, though in Ireland, pyramids do seem to have been built out of stone. An excellent book I read on the worldwide pyramid religion, which was going out of fashion before the invention of writing, and history, as we know it, is “Voyages of the Pyramid Builders,” by Robert Schoch. I reference Schoch and Temple extensively in my work, and consider them at the forefront of knowledge into the worldwide pyramid religion. I hope to add a sort of extra wing in this “assault,” in forging a new understanding, along with others such as Dr Osmanangic, who really has the right idea regarding what he calls the Pyramid of the Sun, and associated mounds. The Bosnian Pyramids, may not be wholly built by man, as he reckons, since they are obviously mountains, but they did not have to have been in order to have been considered as sacred mountains. If we are confused about these structures today, imagine how the ancients must have felt! Their geology has befuddled many and may have been also seen as unique by the ancients who may have considered them as having been built by giants. Man has indeed left his mark there: the mark of the pyramid builder of the “Axis Mundi” religion of seven thousand years ago and beyond. This ancient pyramid religion died out just as writing as we know it, was being invented, hence the great loss of knowledge, which is instead preserved everywhere in Cyclopean mathematical alignments. MEASUREMENTS OF EARTH AND PLANETARY DIAMETERS? Pyramid Mathematics. For a little background, let us consider how far back this science actually goes. I believe it goes back to the builders themselves. Yes, the pyramid builders were “pyramidologists”, incorporating all sorts of astronomical ideas into the pyramids. This memory was retained throughout history in one form or another, passing into Arab texts. Most of the ideas one will read in popular books however are possibly garbage. I was startled to discover not just “pyramidology” but the possible existence of former pyramids at Glastonbury England, another Earth Center, or place of the Axis Mundi religion. Olmecs too were astronomically conscious when building remarkable artificial mountains and volcanoes. So few know of their incredible and remarkable deeds! (Please spread the word in particular on Olmec wonders, so their legacy can be recognised! These, like the Giza builders were some of the finest workers and engineers known.) The same religion of the fourth millennium BC and earlier echoes throughout the Earth. When making an earth center, one must also incorporate mathematics into the planning to ensure it is well-respected and patronised by the Gods. It must be worthy of the Gods themselves if they are to live there. Hence `Godlike' precision. One of the most startling revelations was achieved when applying a formula of Robert M Fix. This was essentially a formula paraphrased from a neglected ancient-mathematics genius, Livio Stecchini. He applied it merely to the Great Pyramid and I decided to apply it to the other two pyramids. Realising we were dealing with each pyramid as a possible home and representation of a God, and that planets are also representations of Gods, including Earth Gods, represented by all sorts of pyramids, since ancient times, I figured that the Khafre and Menkaura structures represented other Gods. The measurements seem to express the diameters of Mercury (or Mars) and certainly Venus in the case of (Khafre) in relation to the Earth as Khufu. What this all implies is that a whole field of knowledge is suddenly open to us. Did Ancient Egyptians realise that other planets had a diameter? This is obvious to any astronomer who can see a disc on a planet with only a little magnification. Did ancient Egyptians use telescopes? If so, what were they like? Were they like Galileo's telescope? It has been suggested several times that the grand gallery could have been used as a telescope, and the Great Pyramid itself would have made a fine observatory at some stage in its completion. I have little to say regarding that. What vanished books were once held at the vanished library of Heliopolis, and what secrets did they contain? A pyramid was the burial of a God. It was surrounded by minor burials of men, kings. This is a key finding. Providing a burial for fertility and helper gods allowed the land to renew every year. The tribes had already been building such fertility temples, artificial mountains for generations. Giza was their final masterpiece before the disappearance of their religion during the third millennium, in Egypt, and in Europe. This book has been incredibly exciting to write, as well as re-read, time after time. I hope that as you read “In Search of the Origin of Pyramids and the Lost Gods of Giza,” you may marvel at the picture catalogue of world pyramids, (even unknown ones! ), tracing the journey of the discovery of pyramids and their true purpose, as if was a detective story, tracing lost pyramids around the world. It is a great Christmas or Thanksgiving present for the budding historical detective! Thank you for your attention and Good Day! Please also forgive this being a skewed and biased author's review. It is my opportunity to answer critics. I will also take advantage of the comments section of this review to answer any criticisms, questions, etc.